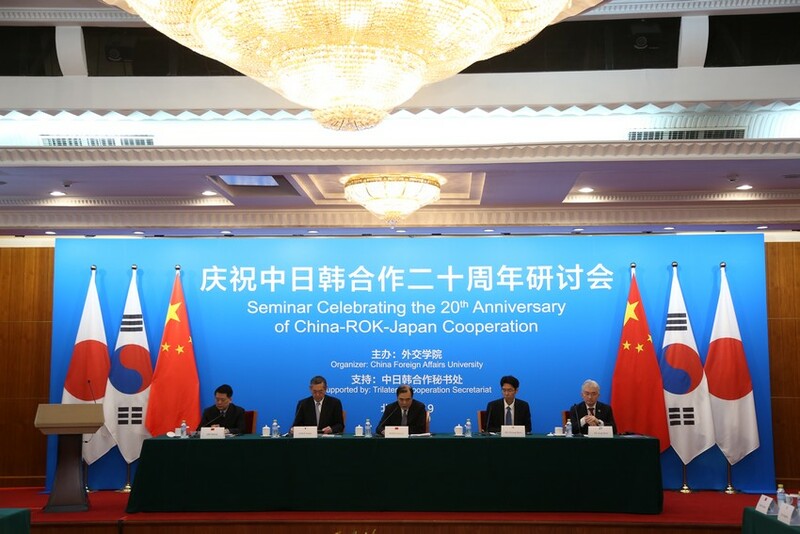 On 12th April 2019, the Seminar Celebrating the 20th Anniversary of China-ROK-Japan Cooperation was held in Beijing, China. The Seminar was organized by China Foreign Affairs University and supported by Trilateral Cooperation Secretariat (TCS). 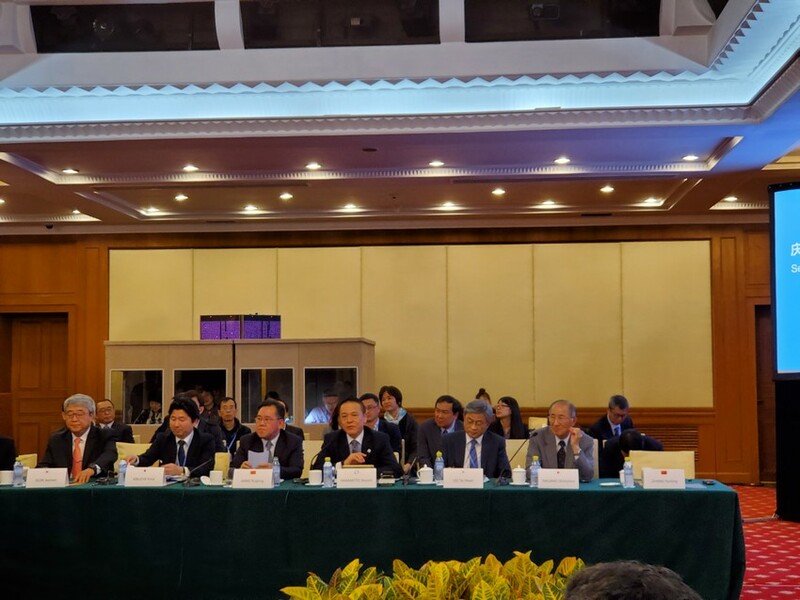 Mr. KONG Xuanyou, Vice Foreign Minister of China, Mr. YOKOI Yutaka, Japanese Ambassador to China and Mr. LEE Choong Myon, Minister of ROK Embassy to China attended the Opening Session. More than 20 eminent scholars, diplomats and journalists from the three countries delivered presentations to review the past achievements, current situation and future direction of trilateral cooperation. TCS Secretary-General LEE Jong-heon and Deputy Secretary-General YAMAMOTO Yasushi were invited to attend the Seminar. 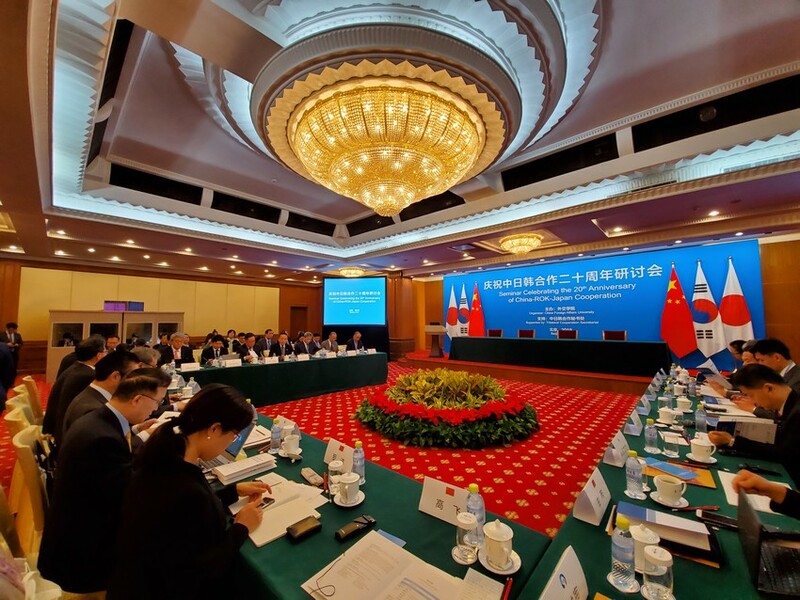 In the Opening Remarks, TCS Secretary-General LEE Jong-heon highlighted the strategic significance of the trilateral cooperation among China, ROK and Japan during the past 20 years. SG LEE noted that the three countries are facing more and more common challenges including aging society, demographic cliff, natural disasters, public health etc., which need joint efforts of the three countries to cope with. He called for more concrete cooperation proposals from the three countries to further upgrade the level of trilateral cooperation. 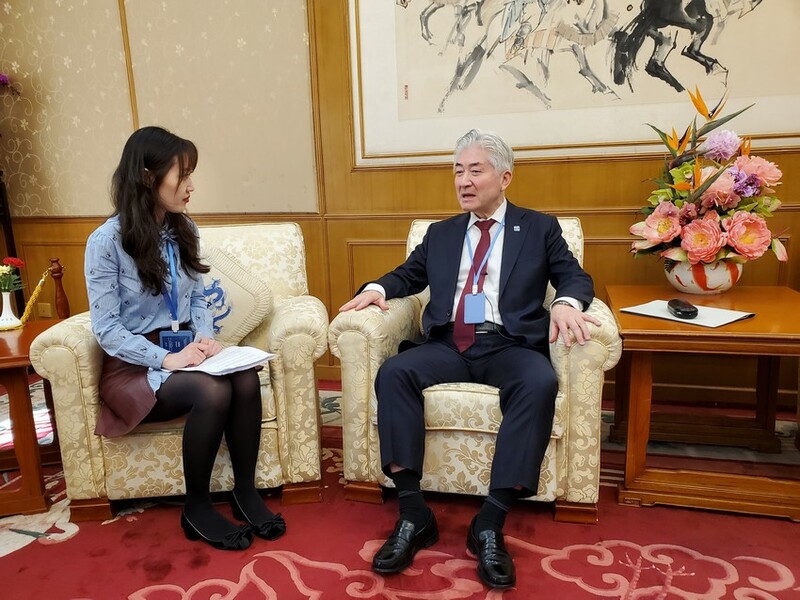 During the Seminar, SG LEE was interviewed by China Global Television Network (CGTN) on future trilateral cooperation.